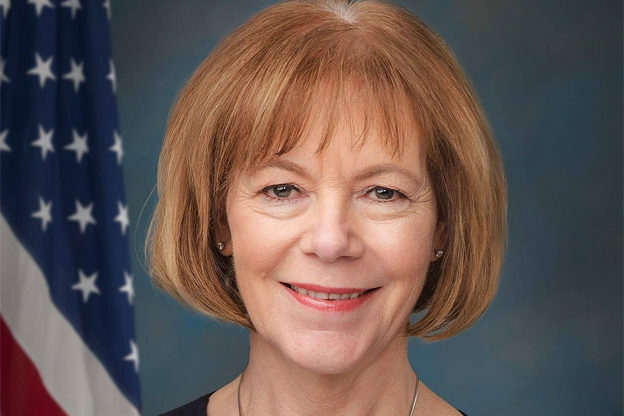 The Star Tribune Editorial Board’s endorsement of U.S. Senate appointee Tina Smith (“DFL’s Sen. Smith stands out — quietly,” Aug. 9) was baffling and its reasoning disappointing. While recognizing that Smith voted on measures that benefited her personally because of her millions in stock holdings, the endorsement speculates that she will miraculously solve this ethical issue sometime in the future. It then hails her dealmaking ability but ignores her backroom deal to help PolyMet skirt the law against the will of the vast majority of Minnesotans. The board ignored the central issue plaguing the country — politicians serving personal and special interests first and the people last. As one threatened by these examples of “government for sale,” my vote will be for Richard Painter, in the tradition of low-key Minnesota senators such as Humphrey, Wellstone and Franken. Kelly’s letter was pointed in its identification of shortcomings in both Tina Smith and the editorial writers and she threw in some sarcasm — while being right on the money in identifying the kind of senators Minnesotans want. Kelly’s letter wins a Spotty™ for being a letter to the editor that I wish I had written myself. I actually set out to do it, but Kelly beat me to it. It should be noted [the Strib says sanctimoniously] that the Star Tribune Editorial Board disagrees with Smith’s support for the recent repeal of the medical-device tax. That tax is a key funding source for the expanded coverage provided through the Affordable Care Act, and no replacement funding has yet been identified. The board also believes that Smith should work to distance herself from her and her husband’s stock holdings in some of those same medical-device firms should she win the primary. The Strib cannot even bring itself to write the word “sell.” Why? Well, because the writers know there isn’t a snowball’s chance in hell that the Smiths will liquidate their portfolio of individual stocks. Tina Smith’s husband is an investment banker and stockbroker. It would be interesting to see how active a trader he remains today. I’m sure the stock portfolio is the Main Thing in the Smith household (it would be in mine); this Senate thing is just a hobby. An Aug. 8 letter writer defended U.S. Sen. Tina Smith for opposing the medical-device tax while her family holds millions in device stocks. But ethics apply whether or not it costs you money — more so if it does, actually. Otherwise, it isn’t ethics. It’s just politics. Candidate Richard Painter once told Henry Paulsen, a Goldman Sachs executive and then a candidate for Treasury secretary, that Paulsen had to divest himself of all of his Goldman stock before he could take the job. When Painter speaks on the subject of ethics, he speaks with authority — and experience.